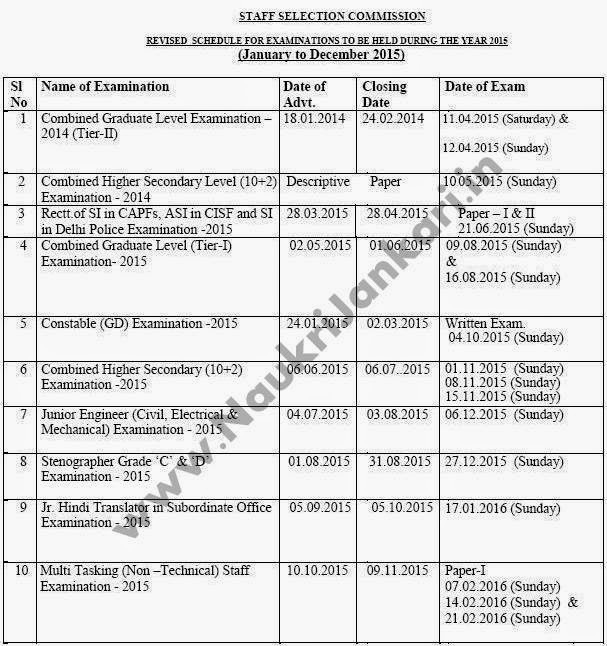 Staff Selection Commission (SSC) has released the complete revised schedule of all examinations for the year 2015. We have already notified that SSC CGL 2015 official advertisement will be published on 2nd May, 2015. SSC previously released an official exam schedule in November, 2015. Now the revised exam schedule of SSC Exams 2015 has been published. So friends, exam schedule has come. Start preparation from now. Good Luck! If you have any query or requirement let we know. 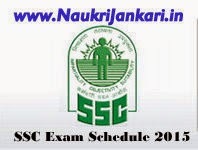 0 comments for " Time Table of SSC Exams in 2015: SSC Exam Schedule 2015 "